I am just a normal guy. In fact, I’m a guy's guy. I am an athlete. I enjoy a good beer and some tasty wings. I watch and play hockey, baseball and golf. I coached my 2 girls in softball at a high level and traveled North America in the process. They both received athletic scholarships to U.S. Colleges, one in Florida and one in Louisiana. I am very proud of them both! In terms of romantic relationships, I have enjoyed the "roller coaster" experience that many do. In my case, I was married for a pretty good 28 years and although we were good at building a life, we just weren't a "match" and, as so many people do, we "grew apart". It's not that we weren't good people and that we did not have the best of intentions, we just didn't really know and understand each other. We didn't know how to "practice" our relationship skills and we didn't realize that there were aspects of relationship that were never going to match up. Ending the marriage was one of the low points on the ride. It is a roller coaster though and surely it would climb back up...and it did! I got lucky and actually found love. The kind that we all read and hear about. It was completely different. Everything was falling into place and it was all going to be perfect! It's funny though how life has a way of letting us know who's in charge and that we are all just along for the ride. One day I was made very aware that I was just one of those passengers. In an instant, it all came crashing back to earth. Life can change fast. So in late 2012, I found myself alone, damaged and a little lost in the world, but as mentioned, I am a guy’s guy. I sucked it up and accepted my fate. I just had to start again. Like many of us guys out there, I believe in solving my own problems. I had a lot of work to do, I still had responsibilities, I had a roof over my head, I had food to eat and I if I was lucky, I still might have a lot of years to look forward to! So how did I get to the point of building a website about relationship awareness and development? Well, at the bottom of the ride, I figured that my problems would be solved if I could find my next relationship. I had no idea how, because I had just lucked into the last one, but I felt that if I could somehow replace what I had lost then I could get back on track. How hard could it be? So it was off to online dating! Now, if you have done any online dating you are aware that I was in for another ride and needless to say, that was the case. It was an adventure that I needed and respected, but after putting my heart and head through the wood chipper a few times, I realized there was something missing. Although I was meeting lots of amazing women, who for the most part, seemed honest and sincere, something was wrong. I had no idea what the problem was. I only knew it wasn’t right. I think I was aware of what I was looking for because I actually had it for a while, but it seemed to me that a lot of people weren't sure what they wanted. They were only sure of what they didn't want. I saw and met so many people out there "looking", but very few could really nail down what it was they were looking for. Everyone seemed to be trusting fate to deliver it to them. Fate? Sure, I believe in fate to a point, but I also believe that fate can only do its job if presented with the opportunity. After a while, I realized that I was just making the same mistakes over and over again. It was time for an adjustment. I had to figure out a better way to describe what I was looking for and how to explain it to potential partners. I started researching and after a little time I came to understand that the reason I wasn’t having success (and the reason that I think most people don't have success), was because I was going through the process “unconsciously”. I was waiting to find someone to accept me for who I am. I was waiting to find that person that was authentic, transparent and consistent. Someone who I could connect with emotionally and physically. A true partner that I had chemistry with and enjoyed the same type of lifestyle. Then it hit me. If that was what I was looking for, wouldn't that person be looking for the same thing? It was time to look in the mirror. Was I all those things? No, I wasn't. I had simply thrown myself into the same giant pool as everyone else, expecting fate to give me a positive result. Sure I was putting myself out there and creating opportunities, but I wasn't going to meet the person I wanted to meet until I became the person that they wanted to meet. It wasn't about them, it was about me. 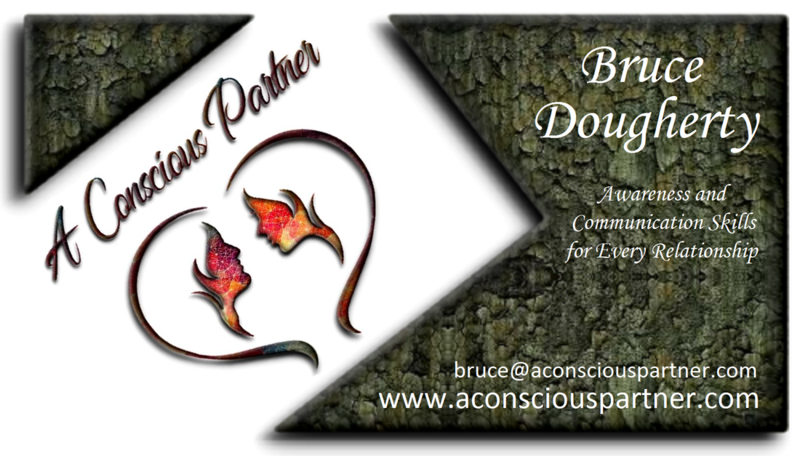 I needed to be A Conscious Partner. So, I identified what I thought was the problem and that was a positive step, but it brought me 2 more problems. First, how do I truly understand and incorporate being conscious myself, and second, how do I convey being conscious to any potential partners? It was time to start reading. So that's what I did. There was no shortage of information, but it was all over the place, and it was from different perspectives! In some cases, it was good information but it was presented "clinically". In other places, it was more of a "holistic" approach. The "metaphysical" information is something that many have a hard time comprehending, and then there was the "religious" perspective. These are all interesting and legitimate perspectives but they weren't for me. You see, I wasn't any of those things. I wanted something for just the everyday person. Something easy to read and understand. I was looking for something that could be interesting and fun. Personal growth is hard enough without making it feel like work! I also didn't want "counseling". As a guy’s guy, I am the type that just doesn't want to go to relationship counseling. There are lots of us out there. Why? Well, a number of us ”guys” think that counseling is a sign of weakness, a waste of money and it ultimately it makes us feel as if we have “failed” at life. That we aren’t good enough or smart enough to figure it out on our own. Now please understand... it doesn’t matter that counseling might not be those things. I am simply conveying to you how counseling "feels" to many of us "guys". It's important to keep in mind that we also feel that simply ignoring an issue until it goes away is an effective problem-solving strategy. I tried that too. It didn't work. At this point, the "coach" in me kicked in. Maybe I could do something that could benefit a bunch of people. Since I was going to go through this whole process, why not document it by building a website, and then others could maybe get some value out of it too! Surely there are lots of people out there that would love to grow but don't want to go to counseling and don't want to be preached at and don't want to have to meditate 6 times a week. In addition, what better gift could I give to my daughters than a relationship tool that I wish I would have had when I was young. Long story short, I now have a website about relationship growth and development. Does any of this give me any credibility as a relationship expert? No, it doesn't. I’m not an expert. In fact, I think if there is one thing in the world that it would be tough to be, it's a "relationship expert". Relationships are the most exciting, convoluted, enticing, turbulent, emotional elements of our lives... and then they get complicated. One thing that I have learned about life is that as soon as you think you have something “mastered”, you are in for a big lesson. No, I am not an expert. 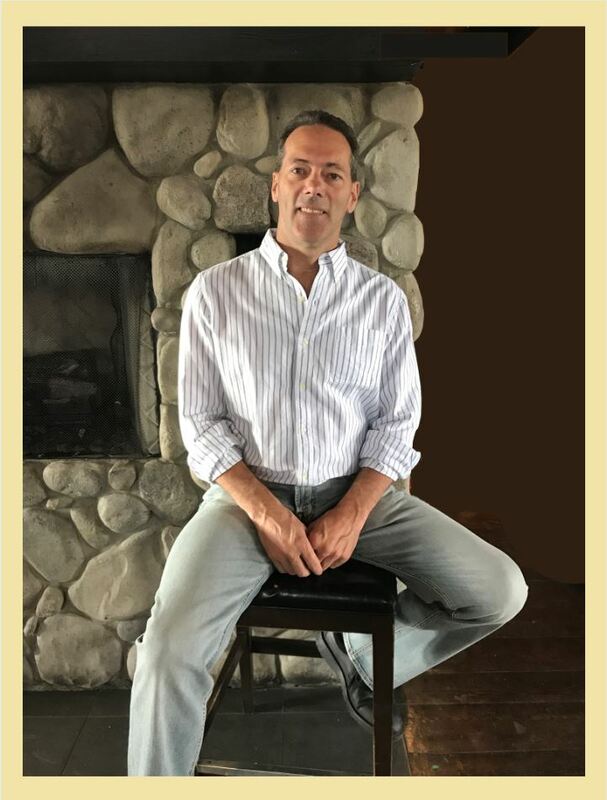 What I have done here is gathered information that I feel is both logical and relevant, translated it into plain English and hopefully presented it in such a way that it is fun, interesting and easy to read. 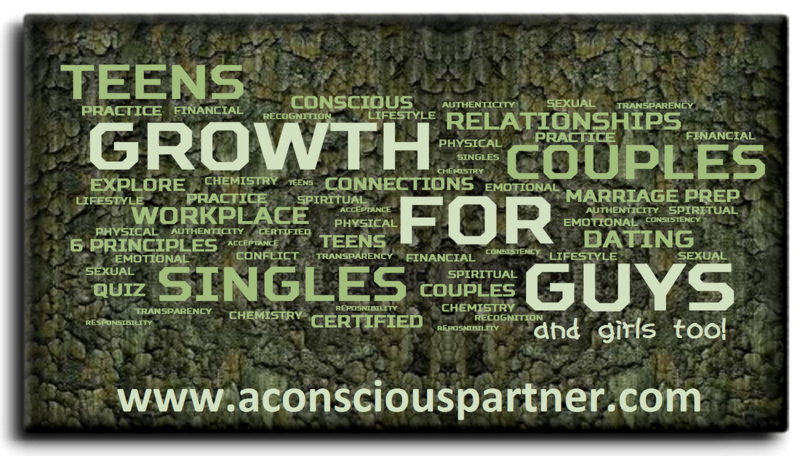 Just like "A Conscious Partner" is supposed to be...fun, interesting and easy to read!